Your friendly Walmart-Prepaid-Cell-Phone can be a good deal. Most prepaid cell phone companies do not work in all zip codes. Only Walmart Tracfone is available in every zip code in the US. If you buy a Prepaid Cell Phone from Wal-Mart it will probably work in the county around the Walmart you purchased it. Most Wal-Mart stores only carry the basic handset available for the carrier. Buying from the website is usually a better deal with more phone models available. Be sure to activate online---You usually get a bonus for activating online. Walmart and Tracfone have just released Straight Talk. You can get Unlimited Minutes, Texts and Data for $45 a month or you can get 1000 minutes 1000 texts and 30 meg of data for $30 a month. This is by far the best deal in Prepaid Phones. This is a better deal than you can get with any contract phone and with Straight talk you just pay by the month. No credit checks, no termination fees add a card when your time or minutes are up and you have cell service. Check out the New Straight Talk Prepaid Wireless Unlimited and the great value $30 a month plan. Check out the Frequently asked Questions about Straight Talk. Why is Net10 the Best Prepaid Phone available at Wal Mart? First they only charge 10 cents a minute. Net10 Prepaid Cellular currently has a special on the Website that offers a FREE Prepaid Net 10 cell phone and 300 minutes for $19.99. This is the best deal in prepaid. Free Long Distance. There are no extra charges for calling long Distance on your Net10 Phone. There is a sale at Net10 They are offering the LG 300 and a 300 minute card for $30. The phone comes with 300 minutes and 60 days plus the card makes the best prepaid deal ever. 600 minutes 120 days of service and a free phone for $30. Don't just buy one buy several. This is the best deal ever on a prepaid phone. If you already have a Net10 phone buy this package for the card and give the phone with 300 minutes away to a friend or child that never calls (maybe they will take the hint--lol--). In case your math is as poor as mine that is 5 cents a minute. Tracfone has now jumped into one of the best Prepaid Cell Phone deals in Wal-Mart. The addition of the lifetime Double minute card has really improved the value of a Tracfone. If you want a very inexpensive message phone the Tracfone can be kept active for less than $10 a month. If you add the "Tracfone Doubler Card" all the Tracfone Cards you buy will be doubled which makes the price of the minutes often in the 10 cent area. Currently at the Tracfone website the Doubler card is on sale. Check out this Tracfone special. Buy a Motorola phone for $14.99 and get double minutes for life! With either of these plans if you run out of minutes before the year is up you can add more minutes by just buying another Tracfone Card. The T-Mobile Prepaid where you buy a 1000 minute card for $100 gives you access for a year and 1000 minutes. Wally World offers cellular phones from several major suppliers. T-Mobile, Net10, Tracfone, Virgin Mobile, Simple Freedom Wireless and Cingular. To figure the prepaid plans out by standing in the aisle reading the fine print at Walmart is not much fun. We have all of the plans profiled here at Compare-Prepaid-Cell-Phones.com. With any of the prepaid phones you may purchase from Walmart you will get 10 or 20 minutes for free when you activate your phone. Activate the phone but do not add minutes. Try the phone to see if it works where you want to use it before you buy minutes and add them to your phone. You can return your Walmart-Prepaid-Cell-Phone for a refund but if you have installed minutes onto the phone you will NOT be able to get a refund on the unused minutes. Jump from Walmart-Prepaid-Cell-Phone to the Best Prepaid Cell phone Plans. The Best Place to Buy Tracfone Minutes and Phones. 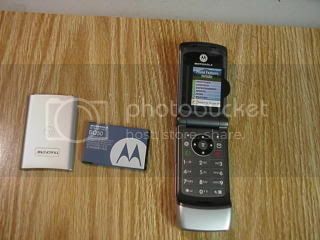 In Summary I believe the Best Walmart-Prepaid-Cell-Phone is the Net 10 phone. The best place to buy this is the Net10.com website because the website often has better specials than Walmart on the Walmart-Prepaid-Cell-Phone and they have a better selection of phones. If you use more than 250 minutes a month the Straight Talk $30 a month 1,000 minute "All You Need" is a great value and you only pay 3.3 cents a minute. The $45 a month Unlimted Text, Talk and Data Straight Talk plan is also a great deal on a nationwide unlimited prepaid plan.